There’s a cockroach walking across my table, and no one, including myself, is doing anything about it. Sort of says a lot about a place like this, don’t you think? A disgusting creature walking amongst us, and no one notices. Or they do notice, and it just doesn’t seem to be out-of-place. Maybe that’s because in a place like this, it doesn’t seem out-of-place at all. 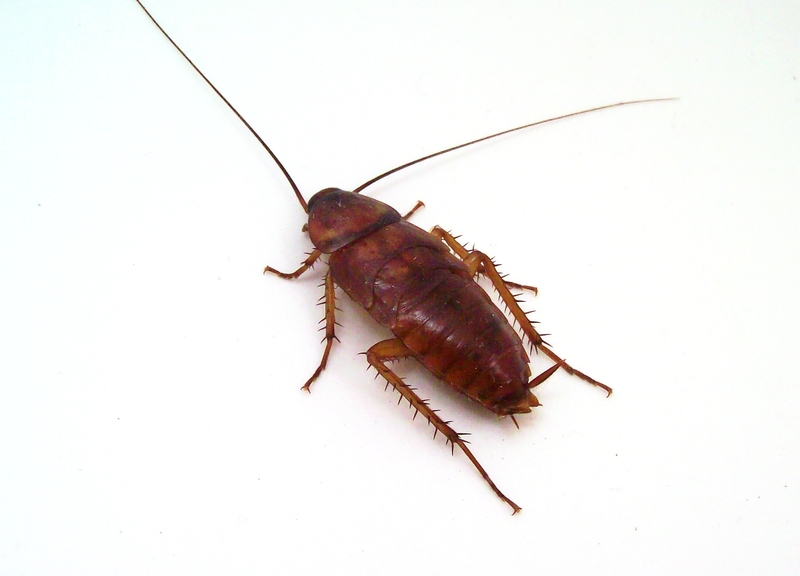 The reason that the cockroach walks so freely amongst us, without a care in the world, is because, in a place like this, the differences between a cockroach and a customer are almost indistinguishable. A depressing thought to be sure, but it begs the question, how this came to be? There’s nothing particularly wrong with a place like this. I’ve been to many like them over the years. There’s nothing different about it then any of the other places I frequented. The customers are certainly not of any lower class then you would expect. And the drinks, well the drinks seem to flow with the acceptable consistency that helps its inhabitants reach their desired state of mind. So let me again ask. Why does the cockroach walk so freely amongst us, in a place like this? I’m sure that you probably have your own theory, but for me, I feel it’s about Love. Yes, love is the reason that, in a place like this, the cockroach walks so freely amongst us. It’s the reason, that in a place like this, we find the line between customer and cockroach is so blurred. We find ourselves, in a place like this, most likely by ourselves for various reasons, but ultimately I think we find ourselves in a place like this, secretly searching for Love. Of course most of the time we have to settle for the love that comes in a glass with the perfect consistency of chilled Gin and Vermouth in it, with just the right about of olives. Love comes in many shapes and sizes after all, and it’s easy to lose sight of that, and that’s the reason that, in a place like this, that the cockroach is at home, because in a place like this, we ultimately want to love ourselves, so it’s necessary for us to love the cockroach. Why else would it walk so freely, in a place like this? Certainly if it’s presence offended us, we would just squash it and be done with it. We don’t though, do we? We leave it alone, because secretly we are routing for it. Aimlessly walking through a place like this, we route for it, because we know, in a place like this, after a couple more drinks, we’ll be doing the same. Walking aimlessly amongst the other cockroaches, trying to find love. So, in a place like this, we love the cockroach, because in a place like this, we really just want to love ourselves. This is only a theory of course. Buy me a drink, and we’ll discuss it further. Reblogged this on Amused to Death. Kind of interesting. 🙂 I like the kind of melancholy mood it evokes. This entry was posted on February 22, 2015 by Eclectic Voices in Monologues and tagged bar, fiction, jeff folschinsky, love, love story, monologue.